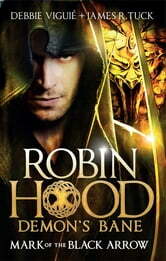 Sherwood Forest is a place of magic, and Prince John and his allies are demons bent upon ruling Britain. The solstice draws close, and Prince John and the Sheriff hold Maid Marian, whose blood sacrifice will lock the prince's hold on the kingdom and the crown. Unless Marian can reach Robin with a magic artifact coveted by the enemy and entrusted to her by the Cardinal, the ritual will occur.